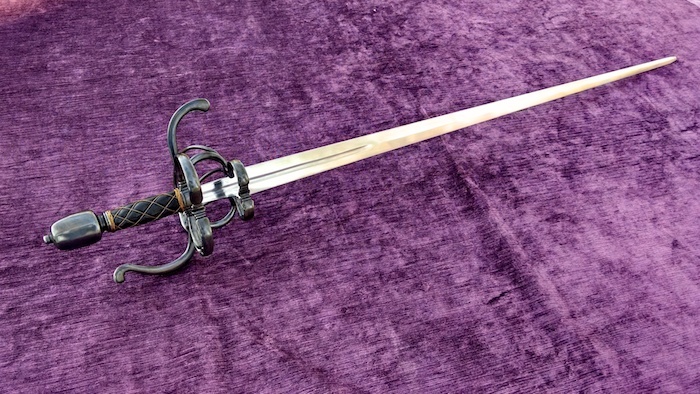 I just finished and shipped off this rapier to a customer who will put it through its paces with his HEMA group. 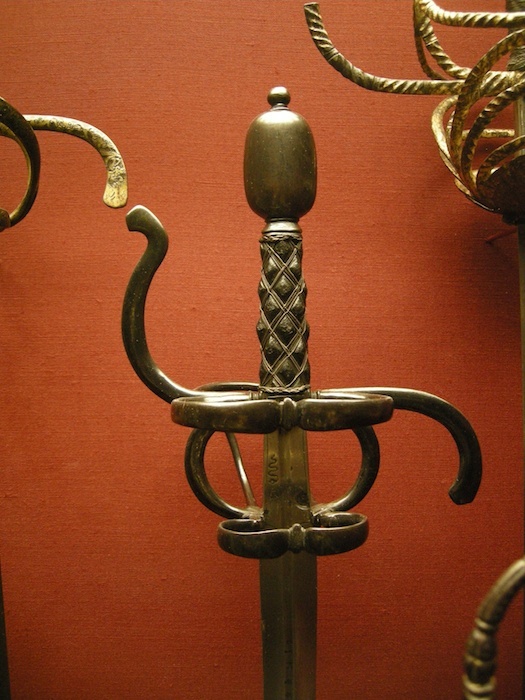 It's based on a trio of identical (or nearly identical) swords that according to this article http://www.lennartviebahn.com/arms_armour/ant...chuch.html were made by Anton Schuch for the Saxon Trabantenleibgarde c.1600. It's definitely has the shorter, more swordlike profile of a military sword. 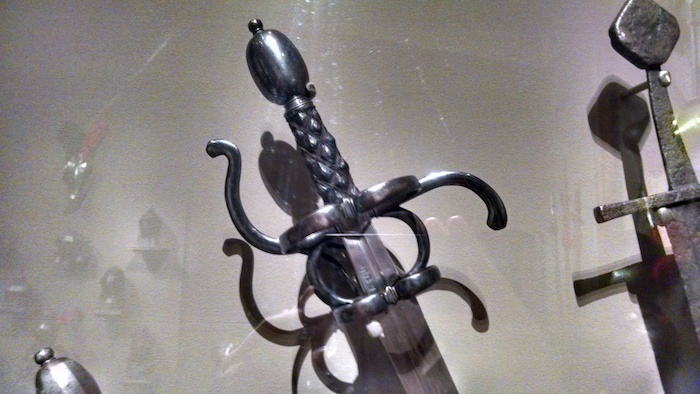 The siblings of the weapon featured in that article are on display at the Walters Museum in Baltimore and the Philadelphia Museum of Art. Those are the three I know of, though there may be more. 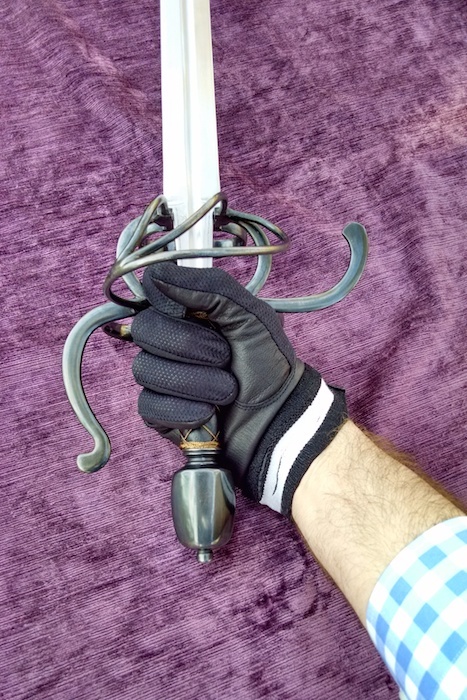 I started out making the hilt without a specific plan for the blade, but the new owner saw my process shots on facebook and wanted to have the final weapon be as close to the original dimensions and details as possible with a blade for HEMA. We contacted Sam Yankovic at Castille Armory, and he agreed to make a custom blade to match my drawings, constructed so he could give it his regular 10 year guarantee against breakage. The result is a very nice blade with a diamond cross section all the way down the length (rather than what appears to be a lenticular cross section on the original), nice beefy rounded edges, and a rounded point to accept a rubber blunt. Much to my surprise the final weight of my re-creation is 2.65 lbs, just a hair under the 2.7lbs of the original documented in the article i mentioned above. 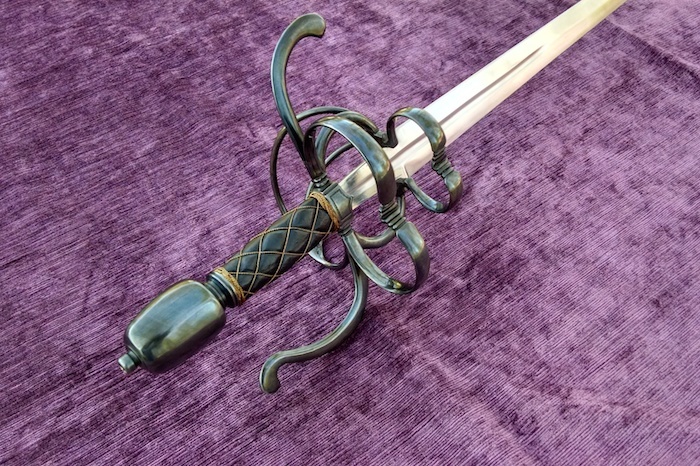 The sword balances 2.25" in front of the hilt with a 35 3/4" long blade. It's 42" overall. 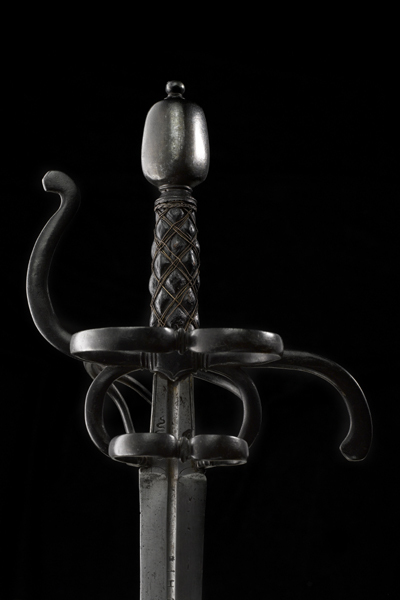 The guard and pommel are blued steel and the grip is carved hardwood covered in leather and wire. 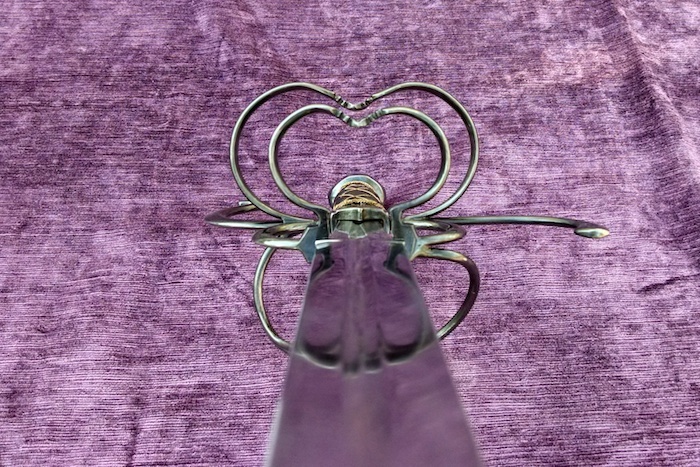 The pommel has an ovoid cross section, so it's keyed to the tang to prevent rotation. The hilt is secured with a recessed allen nut. That's a beautiful job. How nimble is that sword? so close to the original that it is based on congratulations to you and the new owner. 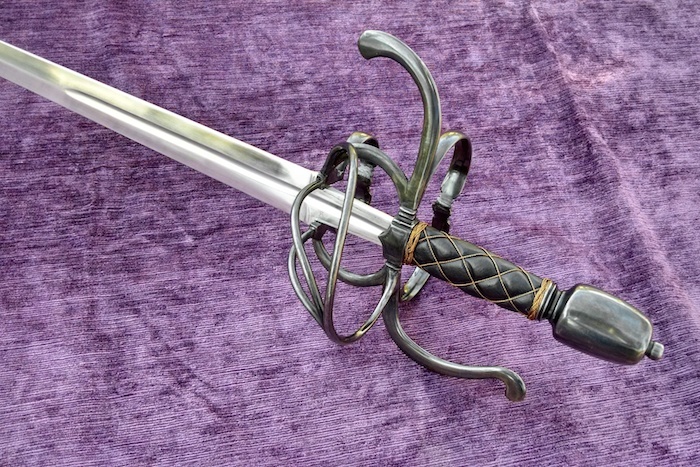 You are fast becoming trademark as far as rapier complex hilts are concerned. Thanks Gents! Roger, the sword handles pretty well (in my opinion anyway ). 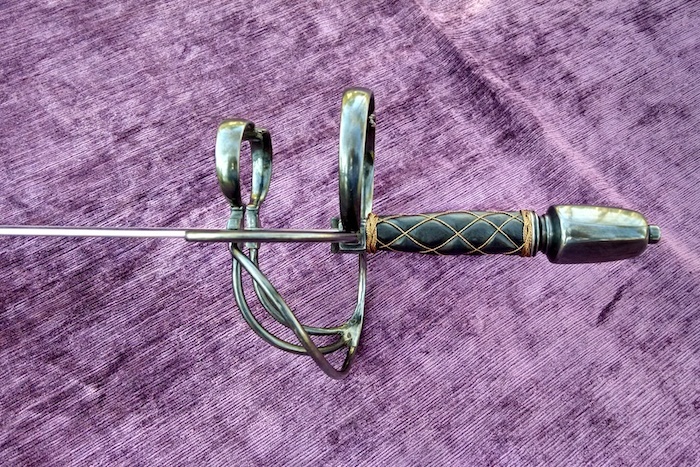 It's definitely more of a cut-and-thrust feeling than a lot of slimmer rapiers, I assume owing to its military heritage. Pretty good point control though, and not difficult to redirect...it's only a 35" long blade, and it has a substantial profile taper. I think the new owner is a member here on the forum, so hopefully he'll chime in once he's had a little time to play with it. 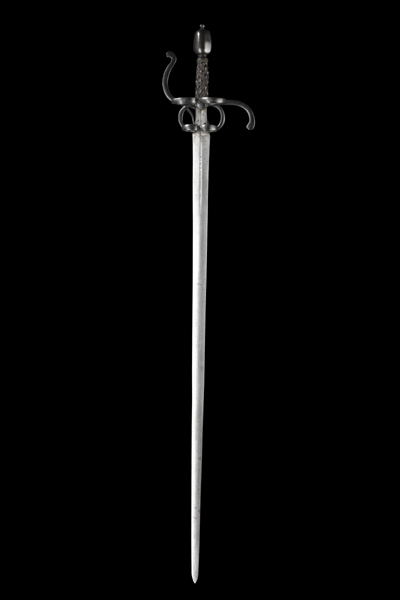 I study 16th century Bolognese sidesword(Giovanni Dalle Agochie 1572), and I would love to put that through some paces. Excellent work. One of your best yet, very nice. Very, very pretty. 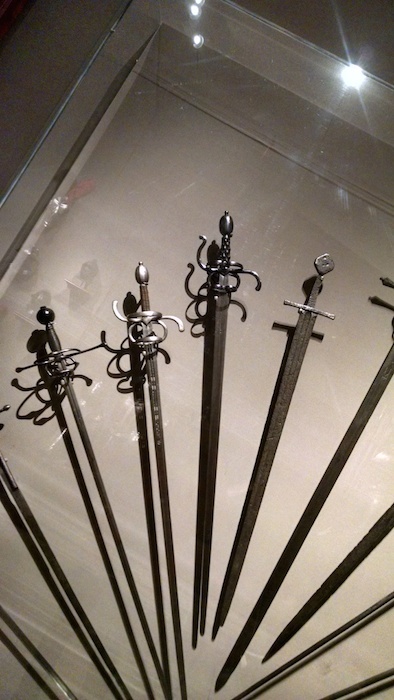 The side rings remind me of those of the earlier side swords and go quite well with the swept bars that complete the guard. The grip in particular employs (what looks to my eyes to be) a bold variation of proportion in the size of the diamonds made of wire that subtly add great interest to the unit. 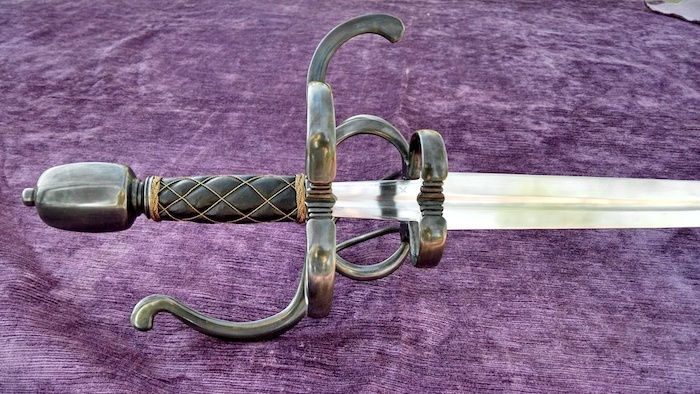 The same goes for the hilt, simply stuffed with detail in every dimension. 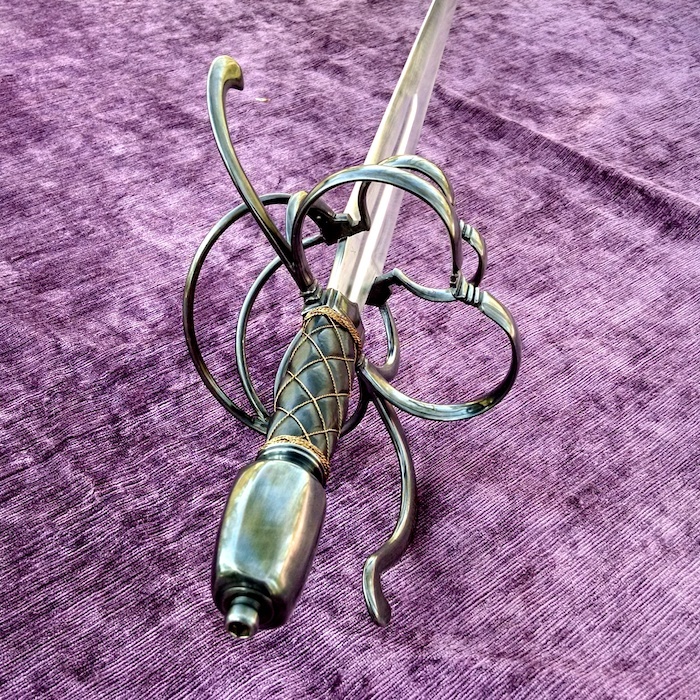 Truly, a sword at which one can never tire of looking!